Ships from and sold by wendywu internet company. 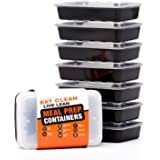 💛 Enther is dedicated to creating innovative products that make life easier for our consumersSimple, fast, easy to use - Most meal-prep containers don't last. They crack after just a couple uses and can't even be used in the microwave without burning or melting. Not Enther, our bento boxes are built to last and contain the best features. 💛 No more disappointments. Gone are the days you had to worry about a cracked container or one that can't withstand the heat of a microwave. 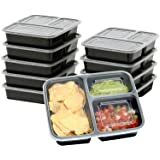 Our containers are BPA-free, microwavable and ensured for multiple times uses. 💛 Trust - Use a meal-prep container that you can count on. It gets old when you have to buy a new container after just a few uses. Enther containers are washer and freezer friendly. 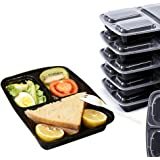 With our bento boxes, you can trust that they will last longer than any other. 💛 You in Mind - Enther containers are made with you in mind. 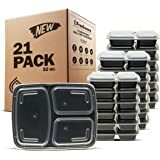 We listened to your requests and this is our response: A safe, stackable and reliable container that features dividers for portion control. This bento box has everything you need and more! 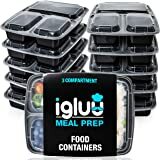 We've made meal prep an easy, effective solution for anyone! Join the Evolutionize army and change the way you look at "diets" forever! 80% of diet results come from macro-nutrients and total calories. Real science shows a total caloric deficit is what's neccesary for sustained fat loss (as opposed to diets or food choices). 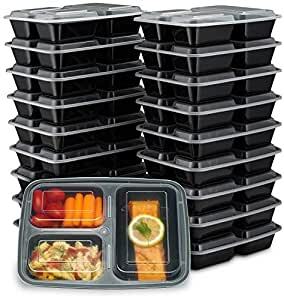 Meal prep is one of the best ways to help you achieve your goals! Whether that's weight loss, building muscle, or portion control. 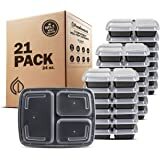 Meal prepping with Evolutionize meal prep containers will help keep you on track. All of our products are provided lifetime guarantee! If there are any qualityproblems with our arm sleeves, please kindly contact us so that we will solvethe problem asap. If you have any issue you are warmly welcomed to contact our service team. We will spare no effort to providesolutions right off the bat.